Our Kids at Heart supports 3 Sacred Heart parish students in Grade 12 along with 32 more in lower grades attending San Juan Diego Catholic High School and they are already accepted at Saint Mary Catholic University from San Antonio, UTSA, and other colleges. 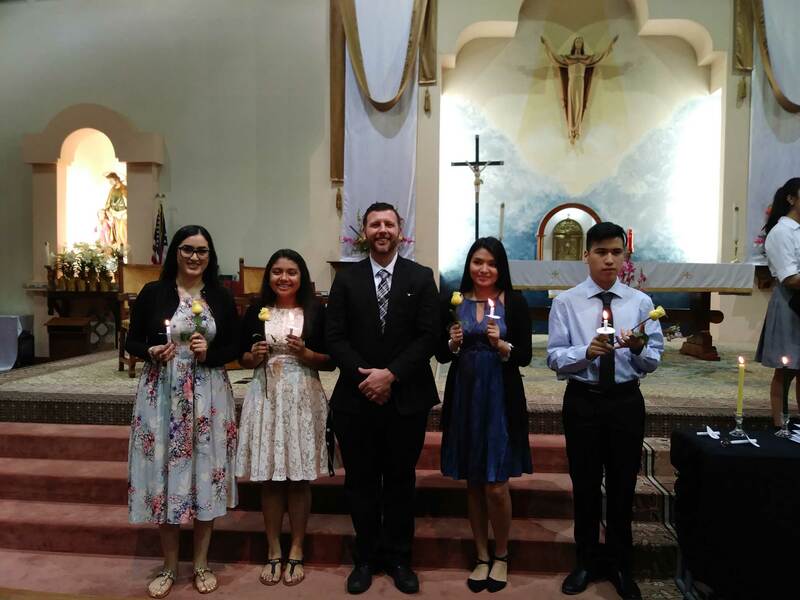 On Friday April 09, 2018, The National Honor Society of High School welcomed their new members; 4 of the new members are Sacred Heart parish students. Congratulations! Your gift is very much appreciated, fully deductible as a charitable contribution, and will benefit the community in so many ways, creating hope and compassionate leaders of our communities. Copyright ©2018-2019 Our Kids at Heart. All rights reserved. EIN:82-2206645. A tax-exempt 501(c)(3) corporation. Copyright.